For field biologists Mahesh Babu and Ganesh Pallela, it was a routine survey of marine biodiversity along River Godavari in Kakinada, Andhra Pradesh when they spotted an unusual shark. It was no longer than three feet and had distinct black markings on its dorsal, pectoral and tail fins. Still, it was hard to pinpoint the exact species as minor morphological differences play a major role in identification. Not taking any chances, and with an imminent feeling that this was not a common sighting, the two asked Anil Mohapatra, a scientist from the Zoological Survey of India, for help. He came back with surprising results — the duo had spotted the critically endangered Pondicherry shark, last seen 39 years ago in India! Unlike the Pondicherry shark, it would seem impossible to confuse the peacock spider aka the Gooty tarantula with any other arachnid. This peacock of the spider world is not only of a mammoth size but also has a noticeable blue lustre that makes it quite easy to spot. And yet, it took scientists 102 years to rediscover the tarantula after it was first spotted in 1899 in a railway timber yard. It looks like species such as these — the Pondicherry shark and the Gooty tarantula, the pink-headed duck and the Himalayan quail — have lied low, as if deliberately from prying human eyes, hardly observed or documented in the millions of years of earth’s existence. But while remaining elusive could be a survival instinct, the changing character of the habitats and the ecosystems itself could place them in more mortal danger than ever before if they remain hidden anymore. 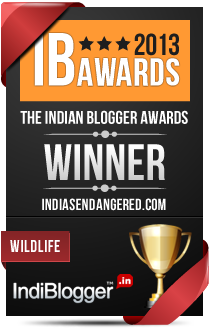 There are many animals and plants in India, especially those that have been listed as endangered or critically endangered by the International Union of Conservation of Nature (IUCN) which have also remained elusive for a very long period of time. The Pink headed duck was last seen in 1935 and then again claimed to have been seen in 2009, but many believe it is already extinct. In 1987 the Zoological Survey of India received skin samples of the rare Malabar Civet. Since then, the civet has not been seen. The Himalyan Quail is a medium-sized bird belonging to the pheasant family, with distinctive red or yellow bill and legs, and prominent white spots around the eyes. It has a long covert tail which is longer than most other quails. However, this description is based on 10 specimens that were seen, shot or collected between 1836 and 1876 in India, around Uttarakhand. It has been 142 years since the Himalayan Quail was last seen. In an era of GPS tracking it might seem unusual that so many species still remain untraceable, but there could be plenty of reasons. According to Former Director of Bombay Natural History Society and noted ornithologist Asad R. Rahmani, the Himalayan Quail for instance was a rarity even during the days when it was seen in Uttarakhand. Same is the case with the Pink headed duck which was uncommon even during the time when its presence around West Bengal, Bihar and Myanmar was fairly known. With lack of scientific studies, greater descriptions of the habitat these species are found in, and probably hunting sprees by locals and colonial empires, the animals and birds have remained to survive in virtual oblivion. Another reason for the continued disappearance could be the absence of a constant field study to track them. In India for example, the scientific study of the Gooty tarantula and other such giant spiders is relatively recent and began after measures to curb illegal trade of the species were taken in the late 1990s. An international team of experts was brought in during that time to not just search for tarantulas in India, but also train some of the local scientists to continue the work. It is efforts like this that eventually led to the rediscovery of the Peacock Spider by Sanjay Molur and his colleagues , inside a tree hole, thousands of metres above the ground, completely protected from human interference but finally spotted by scientists who armed with ladders and dental mirrors had the one-point mission of finding the spider again. What is worrying is that missions like these to exclusively trace a lost species are few and far between as they need huge funding, time and effort. An area cannot be notified as protected unless there is an evidence of a special species existing in that locality. In the meantime, the habitat is vulnerable to being lost forever as urban needs takeover the natural landscapes. For marine animals like the Pondicherry shark that was discovered by chance, the threat also comes when fishermen unknowingly catch and kill them. Fishermen who spoke to the scientists in Andhra Pradesh confessed that sharks were sometimes sold in the area but they had no idea about this particular one being so rare. The peacock spider has gained quite a reputation in the exotic pet world adding to the list of threats such lesser known creatures might face if in the wrong hands. While it is still a rarity in the wild, many pet owners in the US have been known to breed them in captivity and sell them, thanks to an unknown and illegal supply of a few spiders from Sri Lanka to the States in the 90s! Fearing deeper repercussions if a species was never found again, like the loss of an entire ecosystem; Global Wildlife Conservation, an international organisation, started the Lost Species Project a couple of years back. 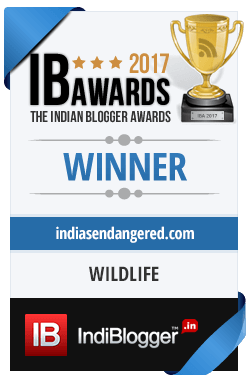 They listed 1200 species including many from India that had been lost for decades or centuries and are now collaborating with IUCN specialist groups to find them. The idea is – if we can rediscover these hidden jewels of nature then there is still hope to regain what we have lost of wildlife and the environment around us. These near mythic creatures could show us a side of Mother Nature that we might have never known ever. In 1997 when the Forest Owlet was rediscovered in India after 113 years, it rekindled an interest among many to continue to search for this extraordinary owlet. Soon, sightings were reported from Maharashtra, Odisha, Chhatisgarh and Madhya Pradesh. At present, Melghat Tiger Reserve in Maharashatra is not just known for its tigers but more importantly for being home to the rarest of the owlets in the world in turn encouraging local communities and the government to safeguard the ecosystem more strongly. In the end, it is not just an explorer’s delight to find a lost species, it is a key to unlocking new ways of saving entire ecosystems from massive destruction by rediscovering and saving a local champion.